First-time show host Jimmy Fallon led the star-studded event which aired on NBC live from The Beverly Hilton in Beverly Hills. 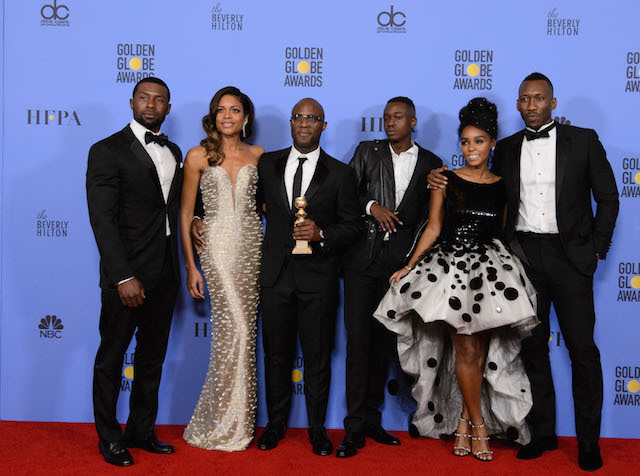 Nominated for several awards, including acting, score and a directing nod for helmer Barry Jenkins, “Moonlight” earned just one well-deserved Best Motion Picture, Drama, accolade at the 74th Annual Golden Globe Awards. The heartfelt movie about a young man coming to terms with his sexuality in a poor Miami neighborhood, received a total of six nominations last year. It failed to garner awards for its two supporting stars Naomie Harris and Mahershala Ali and a screenplay accolade, which went to the romantic musical “La La Land,” a film that received all the seven awards it was nominated for. Many disgruntled fans took to social media to lambast the Golden Globes and share their frustration at the lack of recognition. 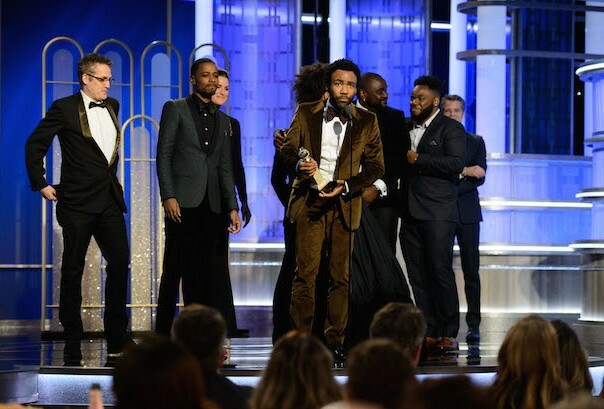 History was still made at this annual ceremony when Tracee Ellis Ross became the first black woman to win for lead actress in a comedy since 1983 for the TV drama “Black-ish” prompting the hashtag #AwardsSeasonNotSoWhite on twitter as the cable TV show “Atlanta” about a group of aspiring rappers also scored a surprise win for Best TV series and also Best Performance by an Actor for series creator Donald Glover. 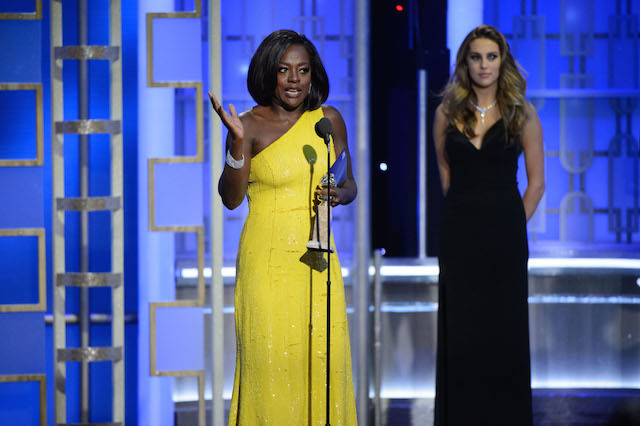 A not so suspiring accolade went to Viola Davis for her incredible performance in the drama “Fences” while “Elle” star Isabelle Huppert upset several major contenders, including Ruth Negga, Natalie Portman and Amy Adams, to take home Best Performance by an Actress in a Motion Picture – Drama. 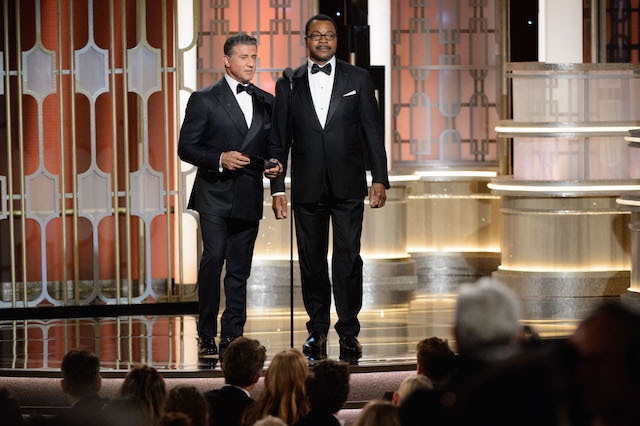 Sadly, the much talked about film “Hidden Fences” took home no awards. No such film exists, but after Michael Keaton and Jenna Bush screwed up the title of the awards contender “Hidden Figures” by combining its title with that of the Viola Davis and Denzel Washington drama “Fences,” it became a trending topic. Bush did this while interviewing the film’s music contributor Pharrell on the red carpet, while Keaton made the error much later during the show’s telecast. First-time show host Jimmy Fallon led the star-studded event which aired on NBC live from The Beverly Hilton in Beverly Hills. Meryl Streep was honored with the Cecil B. DeMille Award and was introduced in a moving tribute by Viola Davis. This year’s trophies were presented by an all-star list of celebrities including Ben Affleck, Casey Affleck, Naomi Campbell, Steve Carell, Jessica Chastain, Matt Damon, Viola Davis, Laura Dern, Leonardo DiCaprio, Cuba Gooding Jr., Michael Keaton, Nicole Kidman, John Legend, Zoe Saldana and Carl Weathers.